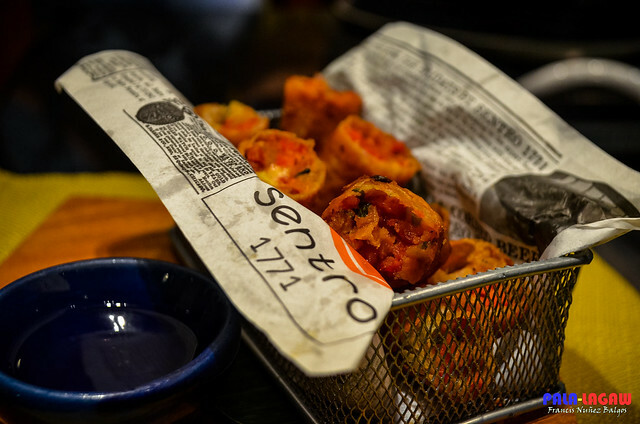 Over a week ago, I received an invitation from a friend to join them in sampling the newest menu to grace the tables of Sentro 1771. 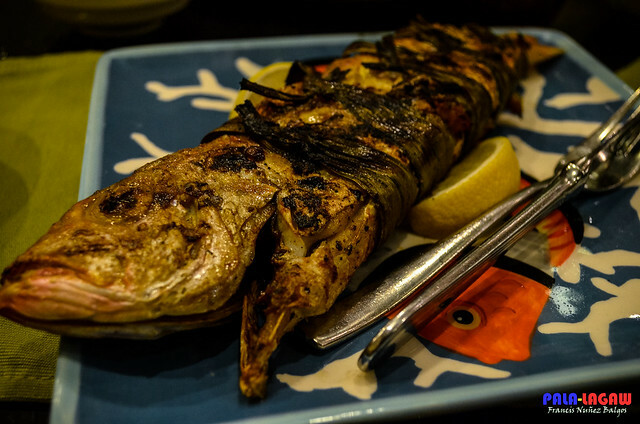 While I am always on the lookout for a great place to dine, I agreed without hesitation, and as always my attitude in dining, I don't check out the place beforehand to keep the surprise fator a delight. I was not disappointed. Scheduled on Tuesday early dinner, it was actually a workday for me having only an hour and a half to spare before I start on my night shift work. Though I was late in arriving from the scheduled time, I met up the blogger duo's behind ww.pinasmuna.com Ramil and Edgar patiently waiting and candidly chatting with Angelica Gutierrez the Digital Marketing Officer of Sentro 1771 on a corner table inside their branch in Serendra, BGC, Taguig. After me, we are also waiting for another blogger, Mike Laagan the guy behind the cute Otazu of the Traveling Panda in www.mikelaagan.com Mike arrived later, but that we were already trying out the Duck Pancakes, the newest Pica-pica offering of Sentro 1771. 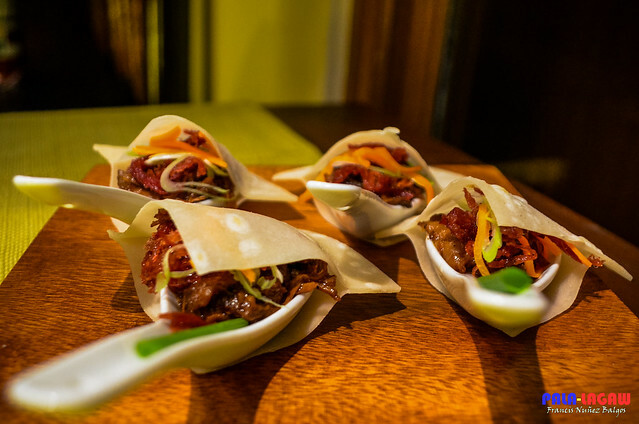 In between sharing social media pictures and taking pictures on this peculiar food, I forgot how Angelica described it and why it was called Duck Pancakes, I was thoroughly enjoying the food that is like a wrap after scooping the fillings inside the spoon using the Duck Pancake wrappers. 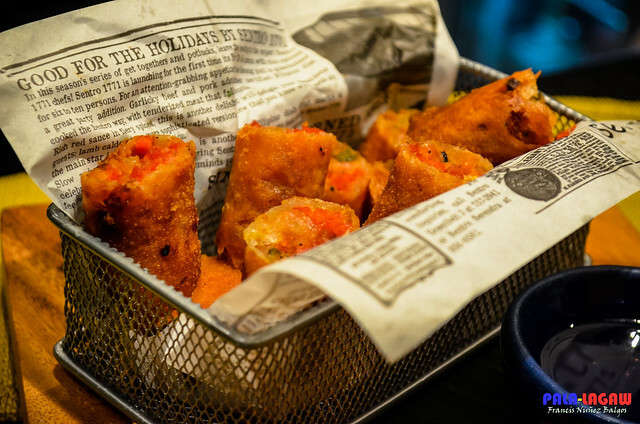 Macau Chorizo and cheese Tidbits, Mini spring rolls filled with Macau Chorizo, shallots and keso de bola. Next in our Pica-pica menu that really piqued my curiosity is the Macau Chorizo, presented very nicely that it roused my interest. I was curious about the paper wrapper, that they use a newspaper as food wrapping. But when I look at it closely, you'd see that its not exactly newspaper, but rather a customized piece with Sentro 1771 featured on its prints. The taste is one of a kind, and I say a must try Pica-pica food. Lamb Caldereta, Australian Bonelesss lamb shoulder stewed in a not-really-spicy way with carrots and bell peppers. Time flies when you're not watching over it, here came our meal servings. 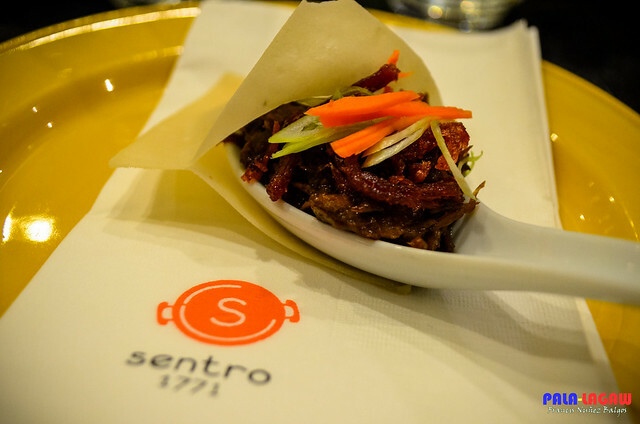 The menu is a bit pricey but worth the dime for the intimate dining experience within the posh Serendra location, as it is, Sentro 1771 is known for Modern Filipino Cuisine, the classic dishes reinvented for modern cosmopolitan vibe. 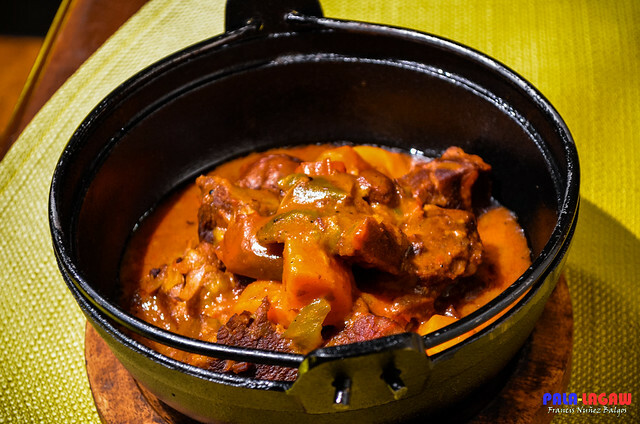 I got to try the the Lamb Caldereta before leaving for work, a definitely delectable dish, think I'd make a lamb lover from now on. 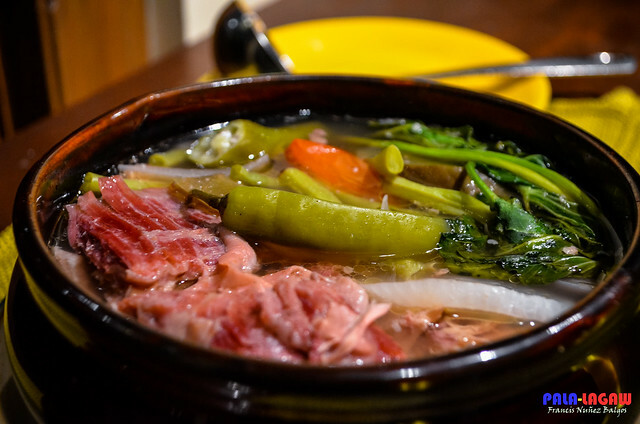 Sinigang na Corned Beef, the specialty of the house. Corned beef short ribs and boneless shanks in tamarind broth with native vegetables. 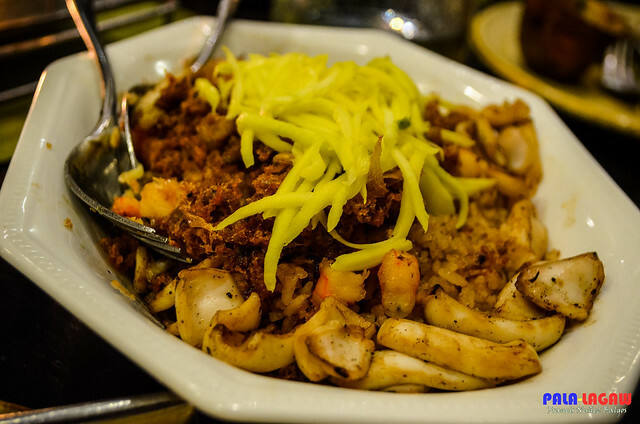 Seafood Bagoong Ricce, Topped with grilled squid, garlic shrimps and hito flakes. 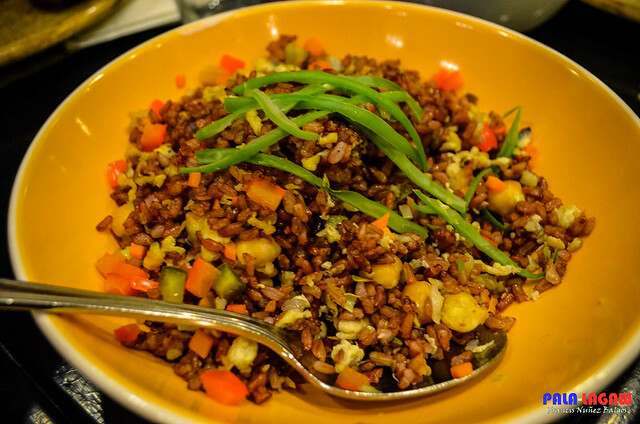 Vegetarian Red Rice, Red organic rice stir-fried with garlic, cabbage, carrots, celery, onions and chickpeas. Fish of the day, Whole fish stuffed with sauteed onions, tomatoes, miso and malunggay, tied with panda. 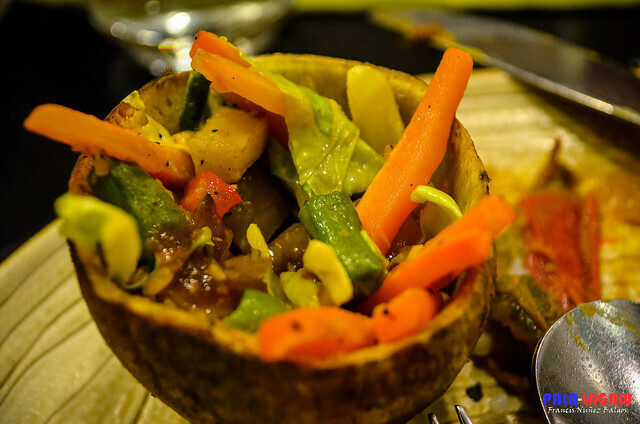 Camote Cups, Carved sweet potato filled with stir-fried cabbage, Baguio beans and carrots. The Modern Cosmopolitan Vibe is evident, being in the middle of posh backdrops of Serendra Piazza and its other branch in Greenbelt 3 in Ayala Center, the pricey menu should not be a surprise. The staffs are courteous and accommodating, the traffic within the premises is organized. 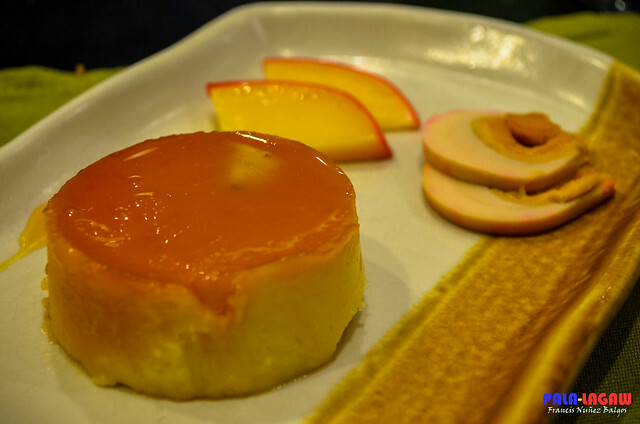 The place is basking in warm light which is perfect for intimate family dinners who would like to try a modernized take on the Filipino cuisine that we all know and love. My rating this place 4 our of 5 stars.